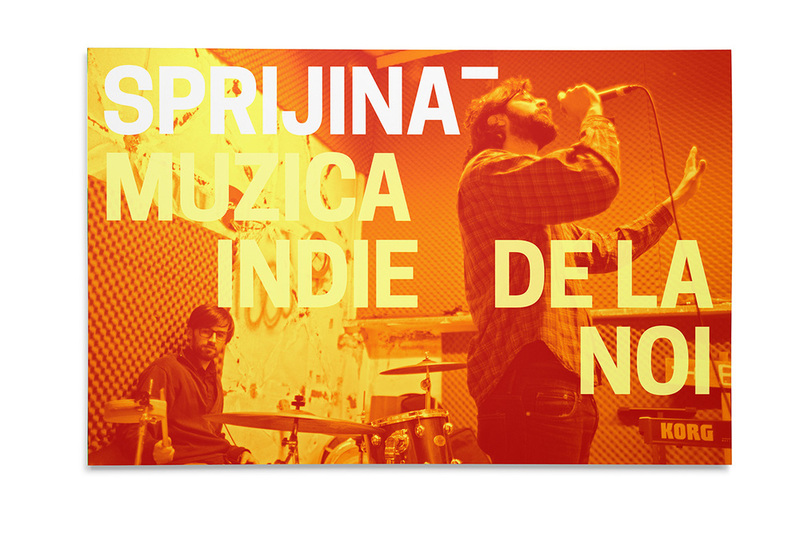 Sprijina is a Romanian crowdfunding platform. You can support someone like you or raise money for your own project. Sprijina is for everyone, be it people, businesses or institutions. Sprijina encourages initiative. Ideas, big and small. The logo is very Romanian itself. We turned A-breve into a stepping stone. It's a simple way to show where the brand belongs. The brand name is a Romanian verb which translates as support. It's a call to action. So we use it to address people directly. That way, we create a flexible identity system capable to reach all types of audiences: initiators, backers and Romanians at large. Sprijina is talkative. The logo rarely stands alone. It's always part of the message. The tone is natural and optimistic. Support me to dance. Support me to become my own boss. Support me to be a pilot. When the logo is used like a verb it becomes the message. It can be used as a call to action, as a request or it can simply describe what the platform is about (Support ideas, people, businesses). Sprijina is also a community. S is for Sprijina (support), but also for Sustinator (backer). Crowd Control, Planescaler & Turific! handmade. First signs of change on the platform. Directed and animated by Anna Florea, filmed by Adi Tudose, sound design by Șerban Ilicevici, put together with the help of Alex Lungu, concept and everything else — Hye Studio.